I grew up with my nose in a book. As a child, I wrote short stories, picture books, poetry, articles, and directed neighborhood children in school plays. After college, I held jobs in cubicles and libraries. I was a substitute teacher and home party salesperson. 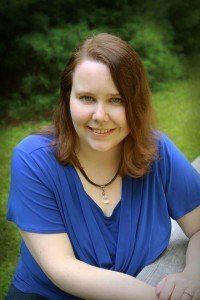 At 39, I finally decided I wanted to be a writer when I grew up. For seven years, I had a home improvement blog which received over a million page views. I wrote my first novel in 2011. I live in the woods of New Hampshire with my handyman husband and teenage son. I’m a member of Maine Romance Writers. I have a Bachelor’s Degree in Anthropology and a minor in Painting. I can go days without leaving the house, especially during winter. I used to sell products at home parties when my son was little to earn extra income. Over the years, I’ve sold scrapbooks, home decor and silver jewelry. I used most of the profits from the scrapbook business to build up my crafting stash. I completed my first full-length novel in four and a half months. I had no idea what I was doing. My husband and I met during college. We dated long-distance for three years, and we’ve been married since 1997. My favorite food and flavor is chocolate. I despise anything that tastes like banana. I don’t drink coffee. Coke is the caffeine that fuels my writing. I graduated from a girl’s Catholic high school with a class of forty-three. We’ve renovated three houses. Two were built in the 1800s. Our first home was part of a “house of ill repute” where a murder was committed. I spend one weekend a year at a scrapbook retreat with forty women I met online. I talk to my “axe murderer” scrapbook friends on the computer every day. In addition to romance, I read nonfiction, memoirs, biographies, literary fiction, road signs and the backs of cereal boxes. I’ve been a Weird Al fan since I was eleven years old. I’ve been to seven Al concerts, and I’ve met him twice. My husband and I collect vintage Fiesta Ware. We have over two hundred pieces and use the dishes every day. I have a vast knowledge of 80s movies, music and pop culture…but I can’t tell you what I ate for breakfast today.